Exclusive Limousine has been operating since 2007 offering luxury transport around metropolitan and regional areas of Melbourne. Your favourite band is coming to town and you want to chill out with your friends. You’ve got the ticket and the perfect outfit. Now, your only problem is how to arrive at the venue like a rock star. Sure, driving yourself is a good idea but don’t forget about the stressful traffic, parking woes and delays when there is a concert in town. At Exclusive Limousines, we can help you avoid all these hassles and arrive at the concert in style. We provide the best concert limo service to make you and your friends feel like celebrities. 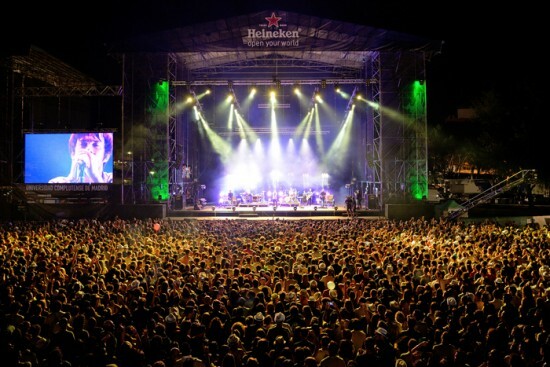 Hiring our luxury transport service will give you the most unforgettable concert experience of your life. We have a range of prestigious limousines that can pick up each of your friends who are going with you to the concert. Our knowledgeable and courteous chauffeurs are expert at taking alternative routes and at avoiding traffic jams as well as roadblocks in order to avoid a delay. All you have to do is sit back and enjoy the luxurious feel aboard the limo with your friends while cruising your way to the concert. Arriving like a celebrity is indeed easy with our exquisite limousines. Exclusive Limousines can provide you with the most memorable and sophisticated ride, affordable price and one of a king service. Call 0428 486 637 for Premier Limo Hire Melbourne. Just want to say a BIG THANKYOU for the service on Saturday. The Hummer Limo was everything we hoped for and more! The driver was very helpful and great to deal with. The bride and groom loved it and were very impressed. Thanks again for all your help, it was a great day. Just want to say a BIG THANKYOU for the service on Saturday. The Hummer Limo was everything we hoped for and more! The driver was very helpful and great to deal with. The bride and groom loved it and were very impressed. Just wanted to say the children had an absolute ball and was the best birthday ever!